UA ClutchFit technology wraps your ankle with a lightweight “second skin” for powerful support & incredible feel. Synthetic leather & textile upper with welded, abrasion-resistant film around the perimeter of the foot. DWR water-resistant upper for all-weather wear. 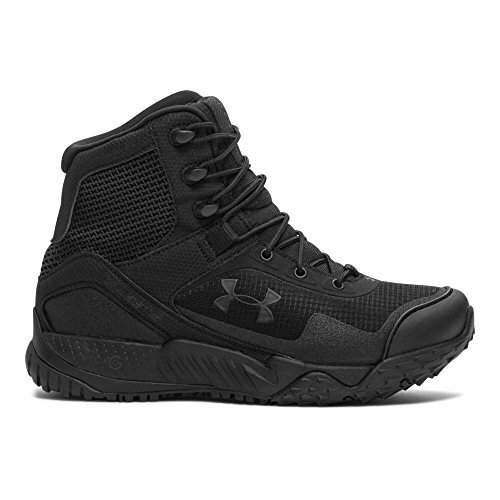 Full-length UA Micro G foam turns cushioned landings into explosive takeoffs. Lightweight TPU shank for mid-foot support . Anti-odor technology applied to molded Ortholite sockliner to prevent the growth of odor-causing microbes . Low-profile rubber lug sole grips the ground without weighing you down. TPU toe cap for extra protection. Height: 7”.